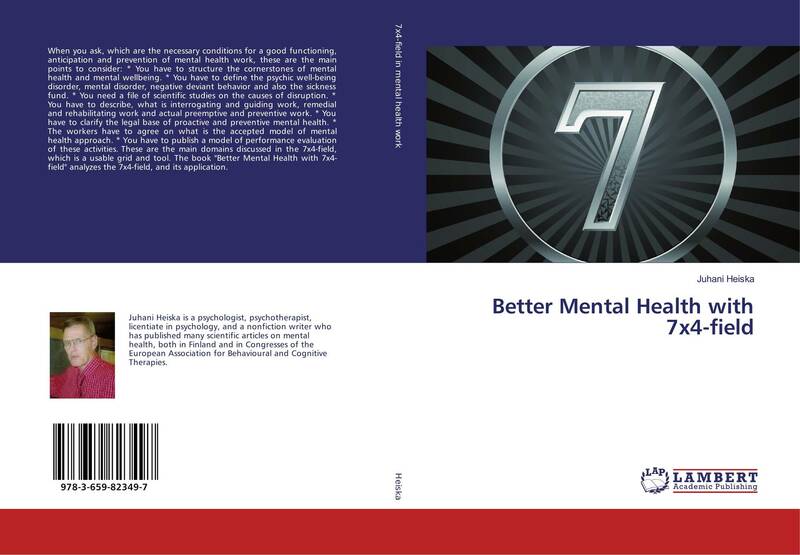 When you ask, which are the necessary conditions for a good functioning, anticipation and prevention of mental health work, these are the main points to consider: * You have to structure the cornerstones of mental health and mental wellbeing. * You have to define the psychic well-being disorder, mental disorder, negative deviant behavior and also the sickness fund. * You need a file of scientific studies on the causes of disruption. * You have to describe, what is interrogating and guiding work, remedial and rehabilitating work and actual preemptive and preventive work. * You have to clarify the legal base of proactive and preventive mental health. * The workers have to agree on what is the accepted model of mental health approach. * You have to publish a model of performance evaluation of these activities. These are the main domains discussed in the 7x4-field, which is a usable grid and tool. 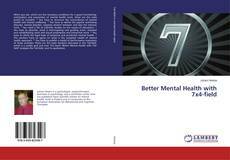 The book "Better Mental Health with 7x4-field" analyzes the 7x4-field, and its application.